Newport Art Gallery's Temporary Exhibition Programme is set to close following an exhibition by David Garner. But protest at the closure continues, with a demonstration against 'the destruction of heritage and culture' in the city. David Garner‘s exhibition Shift is to be Newport Gallery’s final show as part of its Temporary Exhibitions Programme. 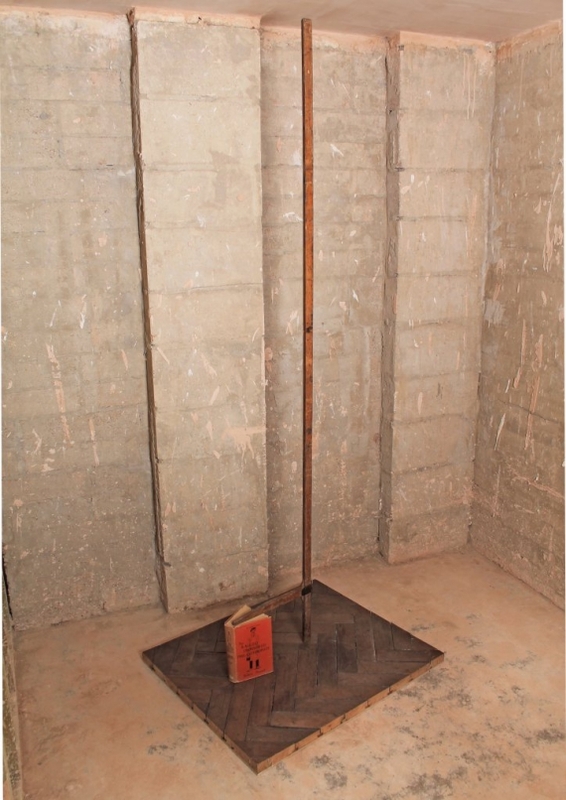 Garner’s work highlights what he sees as social or moral failure, and new work A Case of the Great Money Trick was produced in direct response to the unfolding story of the gallery closure over recent months. As reported in February by a-n, the temporary programme is set to close following a cost cutting decision by the city council. The programme has been a feature of the city’s cultural landscape for forty years, but as part of a relocation plan for Newport Museum and Art Gallery, it will be scrapped in favour of static exhibition featuring works from the museum’s permanent collection. 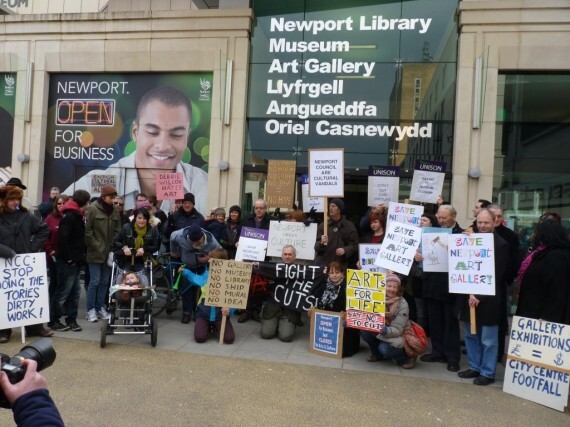 Protest against the closure is continuing, with a demonstration planned in the square outside Newport Museum and Art Gallery on Saturday 20 April at 11am. An earlier rally in February, before the council made its final decision, was attended by over 100 people, while a petition against the closure achieved more than 1,500 signatures. The campaigners are now looking to voice concern at what demonstration organiser Neil McNally describes as “the council’s contempt for culture and heritage in the city”. He said: “Not only is Newport City Council scrapping the Temporary Exhibition Programme, it is also planning to demolish Kenneth Budd’s Chartist Mural to make way for a £100 million shopping mall, to off-load the best preserved fifteenth century ship in Europe to Portsmouth, and close the Museum, Library and Art Gallery building to ‘relocate’ it in a much reduced form to a leisure centre, putting up to 60 jobs at risk. The demonstration against the decision to close the Temporary Exhibition Programme takes place 11am, 20 April outside Newport Museum and Art Gallery in John Frost Square. Shift by David Garner previews 11.30am-1pm, 20 April and continues to 29 June.